Circadiance's SleepWeaver Advance Pediatric Nasal CPAP Mask with Headgear is a soft, cloth mask intended for children ages 2 to 7 years old. Features such as Zzzephyrl Seal and the 5 point headgear are designed to keep the mask in place throughout the night. 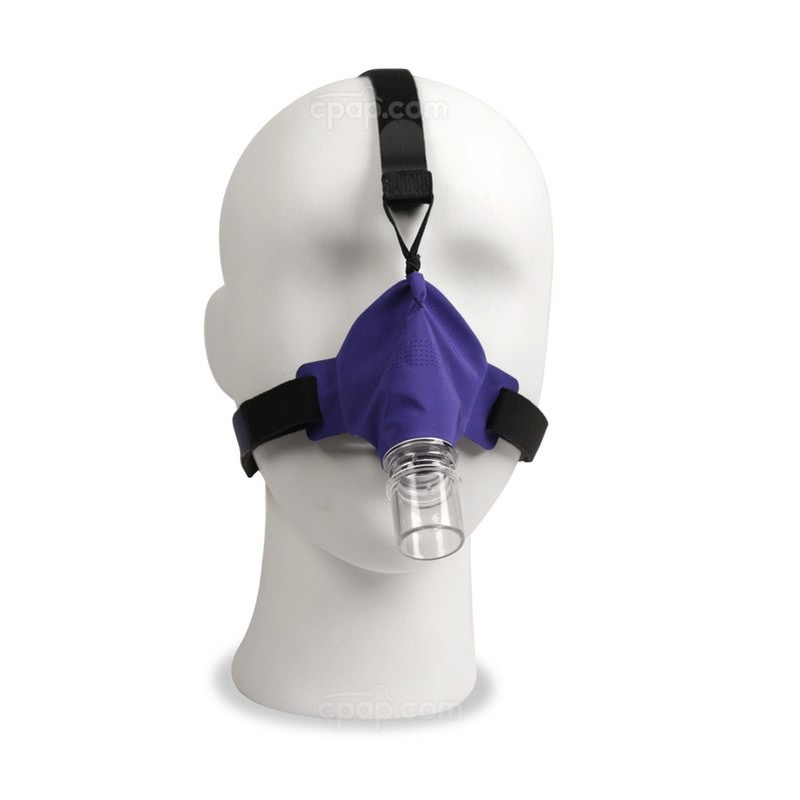 The SleepWeaver Advance Pediatric Nasal CPAP Mask with Headgear from Circadiance is made of lightweight, breathable material to help protect a child's face from pressure marks and sores. 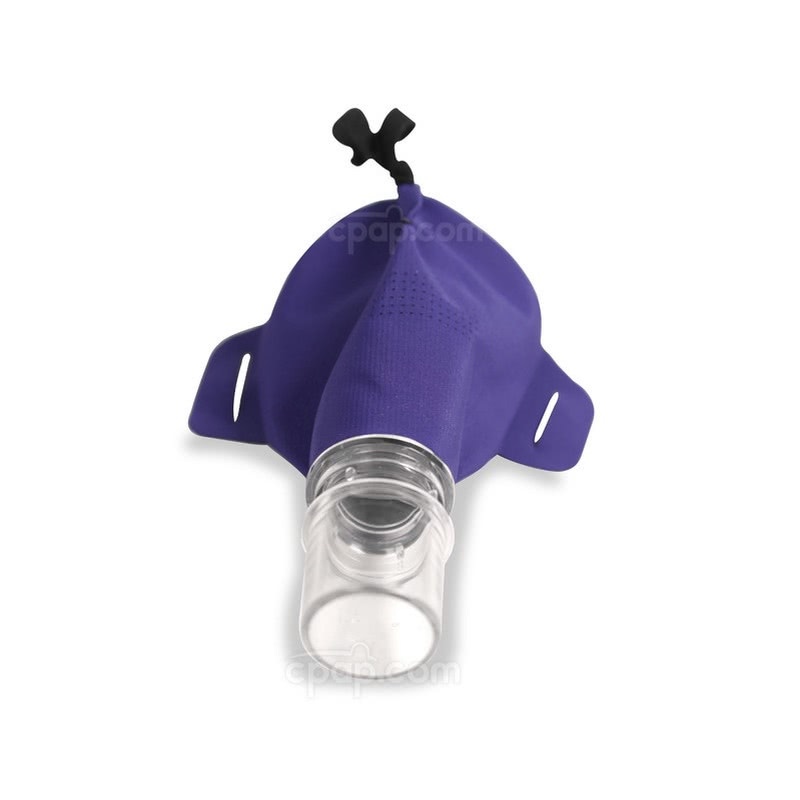 This small mask is designed for children 2 to 7 years old and will only cover the child's nose during therapy. The SleepWeaver Advance Pediatric features the cloth mask cushion that Circadiance is known for. The cloth design will help even the youngest CPAP users avoid skin irritation and sores that could be caused by heavier, bulky masks made of traditional materials. Did you know the SleepWeaver Advance comes in different variations to treat almost anyone? This is the Pediatric Advance, intended for children ages 2-7. Also available is an Advance Small for those with smaller facial features, and the standard Advance for most adults. The Zzzephyr Seal acts as a balloon, inflating with the flow of air provided by the machine. After the cushion is inflated, the soft material conforms to the face creating a seal. Covered in soft fabric, the user is less likely to experience red marks or sores as a result of therapy. The Zzzephyr Seal is intended to shift with movement in order to accommodate a wide range of sleeping positions without losing seal. The SleepWeaver Advanced Pediatric Nasal Mask is similar to the SleepWeaver Advance Small Soft Cloth Mask which uses 15% less fabric than the original SleepWeaver Advance Nasal Mask. The mask is designed to sit far under the eyes while making minimal contact with the user's face. The unique, breathable materials used to manufacture this mask act as moisture repellent. When moisture is detected in the interior of the mask, the materials will draw away the moisture, causing it to evaporate. Please Note: If the moisture is lingering around the user's face, check the humidification level as it may be too high for the mask to work properly. The SleepWeaver Pediatric Headgear is designed specifically for use with the SleepWeaver Pediatric Nasal Mask. Fit the headgear to the child's face to increase mask stability throughout the night. Ensuring the right fit can help to prevent leaks. The straps can be adjusted in five separate locations to help avoid leaks and create a stronger seal. Two tabs are found on either side of the blue cloth, two additional tabs are found on either side of the strap with surrounds the crown of the head. The final adjustment can be made on the center strap which connects the crown of the head to the top of the nose. The material is soft and sturdy and the tabs are color coded for easy use. To protect the child from a stream of air blowing in their eyes or disturbing their sleep, as well as any parent who might be asleep with the child, Circadiance configured the exhalation holes in a diffused pattern on the front of the cushion. 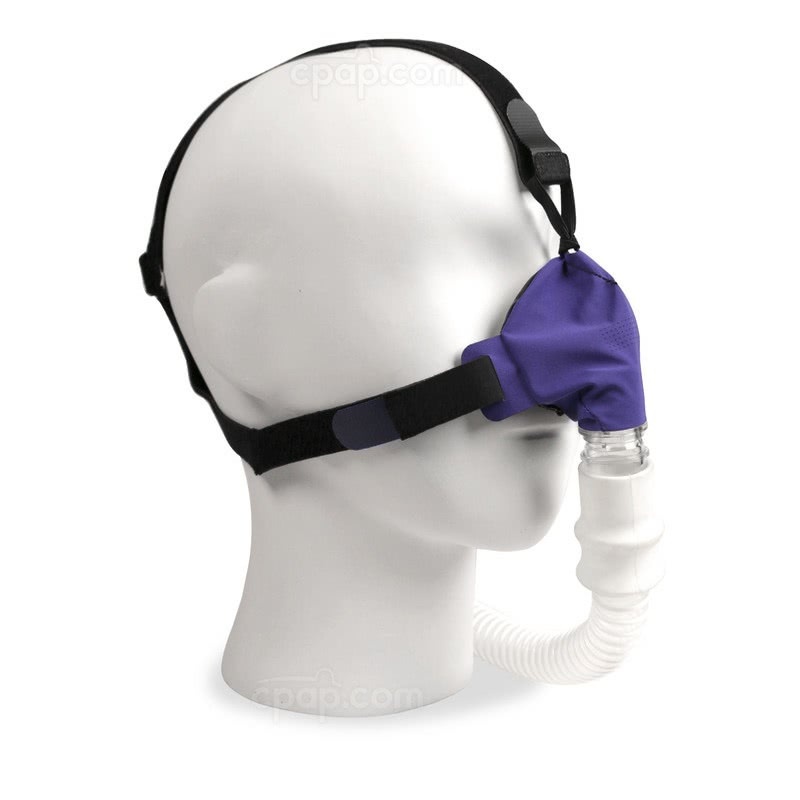 Consider including the OPTIONAL SleepWeaver Feather Weight Tube between the mask and the CPAP tubing to help reduce mask drag and increase freedom of movement. Adding the lightweight 18" flexible hose may reduce leaks and increase comfort. The SleepWeaver Advance Pediatric Nasal CPAP Mask seals differently than silicone or gel CPAP masks. A loose fit achieves a better seal with the material. Clean and rinse face well prior to use. 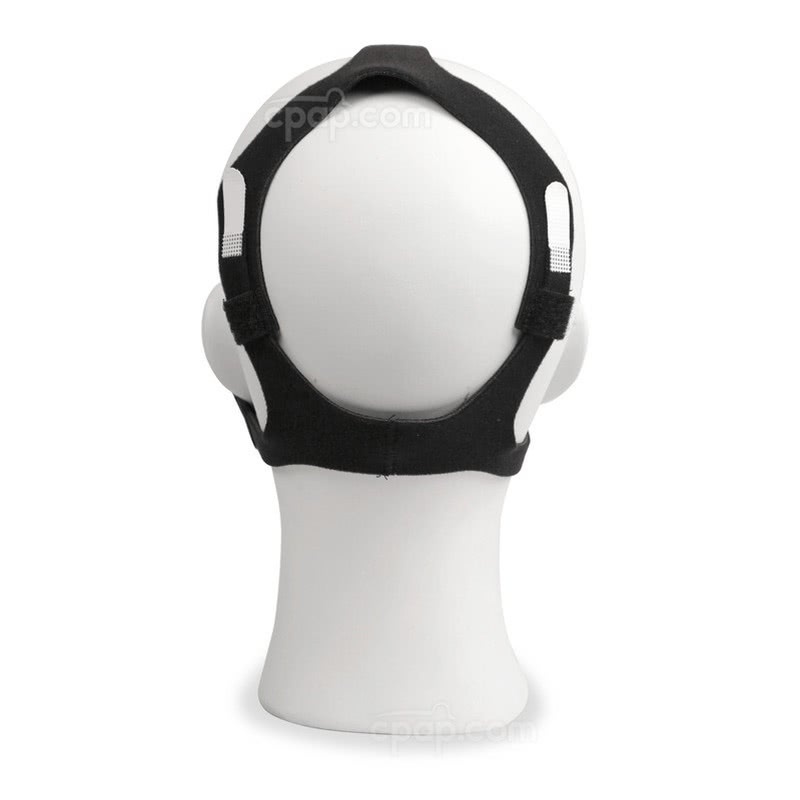 Before pulling the headgear over the child's head, ensure their nose is comfortably seated in the nasal cushion. Continue pulling the mask over the child's head to position the mask properly. Once the mask is on the face, take two to three deep breaths to help the mask form a seal around the nose. If the fit is not ideal, adjust the tabs from front to back to obtain a snug fit around the child's head. Begin front to back in order to keep the child's nose aligned with the cushion. The mask should not touch the eyes. If the mask is too close to the eyes, loosen the top strap or center strap and pull down on the mask to reposition. 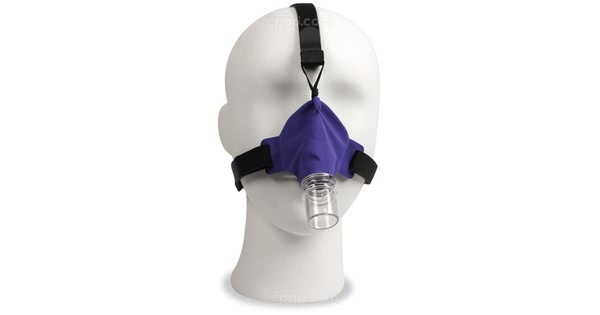 Connect the CPAP tubing to the mask elbow or connect the elbow and tubing to the OPTIONAL Featherweight Tube. Turn CPAP or BiPAP machine "ON". 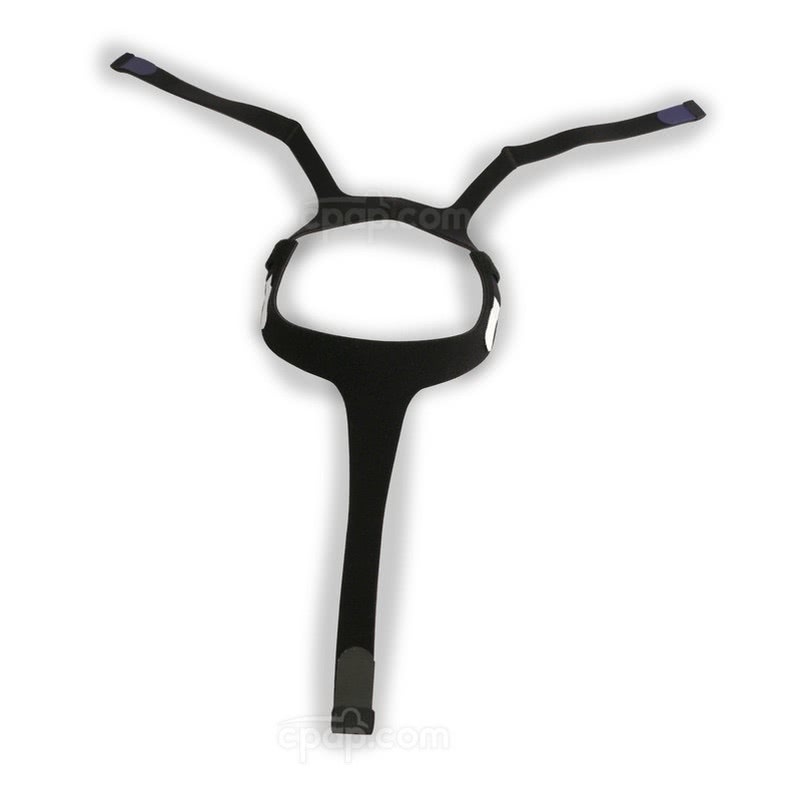 In the morning, instead of releasing the straps, take the mask off over the head to keep the strap setting. The manufacturer recommends cleaning the SleepWeaver Pediatric Mask every morning. The entire unit can be cleaned without dismantling the mask. Either hand wash the mask with mild, non-abrasive detergent and rinse well or put the mask in a "delicates bag" and place it in the washing machine. Do not use anti-bacterial soap, oil based soap, or baby shampoo! Once the mask is clean, hang it to dry out of direct sunlight. DO NOT place the mask in a clothes dryer. Watch the "SleepWeaver Cleaning and Maintaining" video on the Learning Center Tab for more instructions. Turn the nasal mask, so the elbow connection is facing downward and the user is looking at the underside of the mask. Just below the nasal opening, the word " P E D I A T R I C" is written out to indicate the size of the mask.